You’ll get a link to download 256k mp3s and album art at the time of CD purchase. Recorded live in the studio at Electrical Audio in Chicago, IL on October 28, 2009. 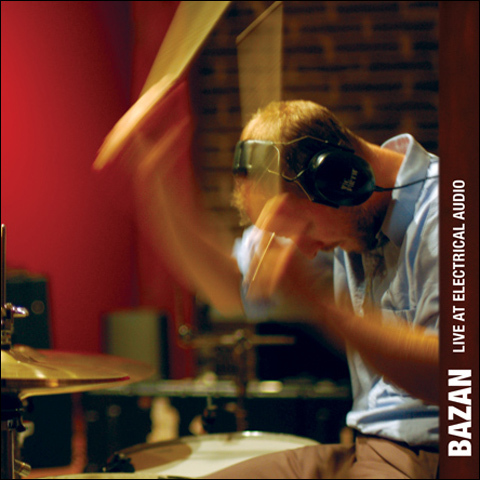 During their first tour together, Bazan and his band spent a day in Studio A at Electrical Audio in Chicago. The band set-up and played live with no overdubs over the next 12 hours. The tracks were sent to Bazan’s long time collaborator and former Pedro The Lion bandmate, TW Walsh for mixing and mastering. “Bazan: Live at Electrical Audio” features 10 new versions of songs that have previously appeared on Pedro The Lion, Headphones and Bazan solo albums.